Scottish Premier League clubs will meet at Hampden on Thursday to discuss the implications of their Rangers 'newco' vote on 4 July. All clubs, except Rangers, are expected to gather for a pre-vote debate. Dundee United and Hearts have already publicly stated they will vote against allowing a new Rangers into the SPL. BBC Scotland has learned that Aberdeen will also say no to Charles Green's application for his relaunched Rangers to replace the old club. And the Dons' third largest shareholder Jim Cummings says he will call for an extraordinary general meeting of shareholders if the club vote in favour of the Rangers newco application, with Aberdeen chairman Stewart Milne indicating a final decision has not yet been reached. Hibernian chairman Rod Petrie previously made it clear that commercial concerns were of secondary importance in relation to the integrity of the league. Kilmarnock are the latest club to say they will canvas supporter opinion following similar moves by Inverness, Motherwell and St Mirren. It is understood the SPL board will make recommendations on various outcomes and scenarios at Thursday's meeting. needs the support of seven rival clubs when the SPL vote on the issue. Should Green's group not get the required 8-4 vote in their favour for top flight football, they would have to apply to fill the vacancy that would be created by a team being promoted from the Scottish Football League. Rangers Football Club plc entered administration in February over unpaid tax and Revenue and Customs' vote against a company voluntary arrangement proposal prompted the transfer of assets to Green's group and their attempts to replace the old Rangers in the SPL. Meanwhile, with doubts over which league Rangers will be playing in next season, the club will delay taking payment for season tickets until after the 4 July vote and prices will be reviewed in the event that there is no top flight football at Ibrox next season. How will the SPL chairmen vote? 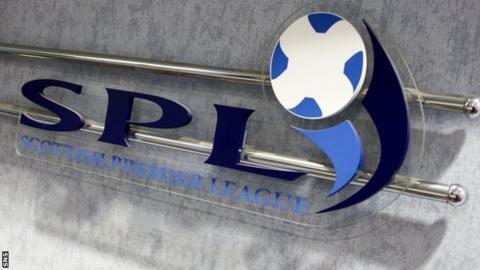 Read more on How will the SPL chairmen vote?